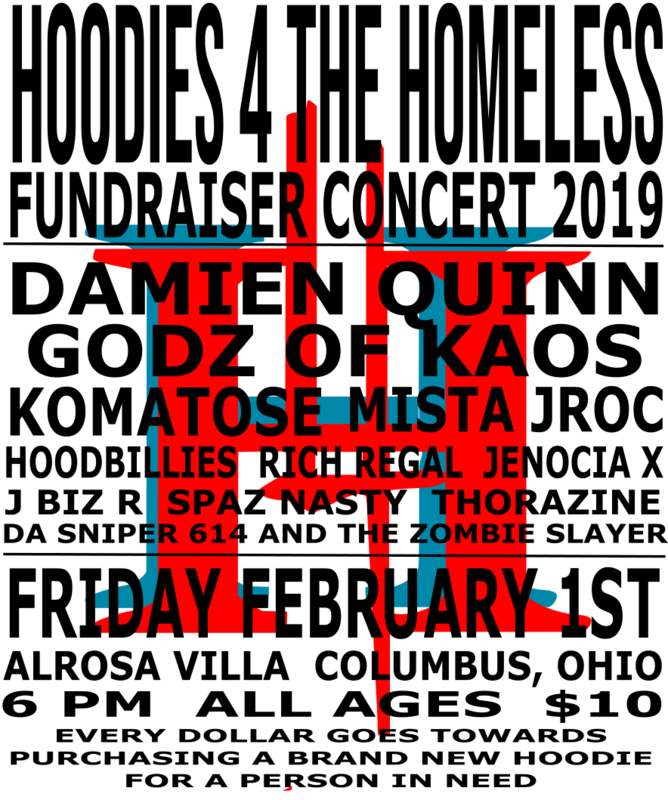 In just two days, a bunch of the underground’s finest are getting together for a Fundraising event called “Hoodies 4 The Homeless”! The goal of this event is pretty self-explanatory, but just to confirm, every dollar raised goes toward purchasing new clothing for the homeless population and others in need. This happens on Friday, February 1st, is an All Ages event, and will cost you just $10.00 to get in! So if you’re close to Columbus, show up and have a great time knowing you’re also doing something good for the community! If not, maybe consider dropping a few bucks to that GoFundMe.